Compare Insurance Plans using you insurance comparison engine tool for various insurance categories or types as detailed below. Visitor Medical Insurance or Visitors Medical Insurance plans offer visitor insurance coverage for emergency health / medical / dental expenses for the visitor visiting the USA, Canada, or any nation outside home country. Adequate visitors insurance coverage benefits is a necessity for medical protection for the stay in USA or any nation abroad. Visitors to USA and other foreign countries can reduce the financial risk of unforeseen accidents or medical emergency by purchasing visitor medical insurance. Visitor Health Insurance is ideal for tourists to US, and for parents and other family members visiting the United States (USA). International health insurance plans offer comprehensive major medical coverage in all countries including USA and are designed to the special needs of H1, H4 and Green Card holders (new immigrants). These plans offer comprehensive medical benefits including maternity, mental health, wellness (preventive check ups) and medical evacuation. These plans have no limit on policy renewals. Traveling to Europe has been made convenient with the Schengen Visa. This common visa allows you to travel to all Schengen states/countries. However Schengen visa countries require visitors to have health insurance coverage. Schengen Visa insurance requirements are specified by the consulates. International Students (F1 visa), their spouses and children (F2 dependents) are required by US Universities to have good medical insurance coverage. These plans cover medical expenses (pre-existing conditions & pregnancy may be covered), prescription drugs expenses, emergency medical evacuation and repatriation. Immigrant insurance plans are long term plans designed to the special health needs of new immigrants (Green Card holders sponsored by family members) to the US and potential immigrants (H4 & F2 visa holders). These plans cover medical expenses resulting from sudden illness or injuries during their period of coverage. These plans typically offer coverage ranging from 2 to 5 years. J-1 exchange visitors in the US and J-2 dependents must carry health insurance. Government regulations stipulate that if one willfully fails to carry health insurance, then the J-1 sponsor must terminate the exchange visitor program and inform the termination to US Department of State. Benefits include coverage for medical expenses (pre-existing conditions may be covered), prescription drugs expenses, emergency medical evacuation and accidental death & dismemberment. Package Travel / Trip Cancellation insurance plans are simple packaged solutions designed for short term holiday travel, vacations and cruise trips and tours. These plans offer good coverage (no deductible) at affordable prices. Benefits include coverage for medical expenses (pre-existing conditions may be covered), dental expenses, prescription drugs expenses, emergency medical evacuation. These plans can also cover your losses (non refundable ticket costs) due to a trip cancellation, trip interruption, lost baggage etc. Most au pairs in the United States have the J-1 visa. 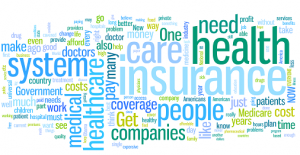 J-1 visa exchange visitors in the US and J-2 dependents must carry health insurance. Government regulations stipulate that if one willfully fails to carry health insurance, then the J-1 sponsor must terminate the exchange visitor program and inform the termination to US Department of State. Benefits include coverage for medical expenses (pre-existing conditions may be covered), prescription drugs expenses, emergency medical evacuation and accidental death & dismemberment. We have tried to provide the most accurate and updated information on the policies compared to the best of our knowledge. However we make no guarantee regarding the accuracy of the information provided, which are based on the rates published online by the respective insurance companies and/or administrators. This information may change periodically as respective insurance companies and/or administrators can change their policy structure/content. We are not liable for any problem resulting from the use of this information. If you do not agree with the terms of this disclaimer, please do not use this comparison engine. visitors,Immigrant, Student, Nanny, Short Term, Europe Travel, H1b visa, J visa, Visitor Medical Travel Health Insurance Questions? Please contact us.Be sure to view the appropriate insurance offering details. Please also read the Insurance FAQ for Frequently Asked Questions & Answers.